This shop has EVERYTHING a woke queen/king/gender fluid monarch could ever need. 1. Where can I buy Frank Ocean's "Why be racist, sexist, homophobic, or transphobic" t shirt? 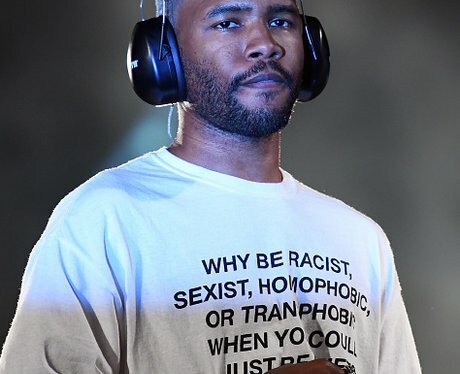 Frank Ocean was spotted during his performance at Panorama Music Festival wearing a tshirt that said "why be racist, sexist, homophobic, or transphobic when you could just be quiet". This shirt is available at https://greenboxshop.us. There are also a bunch of other woke gems you can pick up from Greenbox. 2. Where can I buy a "Boy Tears" water bottle? You can also grab a "Boy tears" water bottle from Greenbox because IT SENDS THE RIGHT MESSAGE. Greenbox are selling "valid" shirts to celebrate asexual, gay, lesbian, and transgender pride. The shirts come in different colour lettering to honour different parts of the LGBTQ+ community. Greenbox have these handy t-shirts so you can show up and show out against your school's dress code policy. 7. Where can I buy a bigot tears waterbottle? Listen, the tears of bigots are only good for one thing. To quench my thirst before I enter battle. Pick it up at Greenbox if you feel like turning a few heads.